This is a very apt post considering we welcomed grandchild number nine into the family last week. It's the moment you have (probably) been looking forward to for years. It's the moment when your adult child tells you, "mum, you're going to be a grandparent." While the news will remind you that you are not getting any younger, you should (despite the reminder of time) be excited and joyful about the impending new arrival into your family. 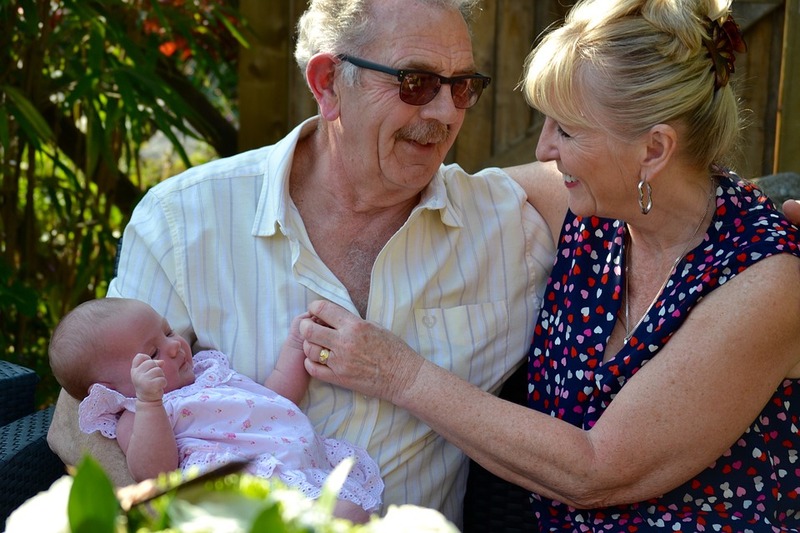 But when your grandchild arrives, what should you do to support your adult child? And perhaps more importantly, what shouldn't you do? You should offer your child as much support as they need. You know the joys and challenges of raising a newborn, so you should have plenty of experience from which your child can draw from. Offer them advice when called upon, and if you see your child struggling in any way, gently offer a few suggestions. But don't go overboard with the advice. You may have some excellent ideas, but if your child wants to do things their way (provided they are being safe and sensible), let them. You don't want to come across as an interfering parent yourself, so try and gauge when you should speak, and when you should lie low for a while. We have been doing a lot of this lying low in the last few weeks. You should support your child financially when possible. With the birth of a new baby comes a wide range of expenses, so if you are financially able, give your support. Your child should be able to purchase the basics themselves, so you might be able to give your grandchild something extra special, such as this luxury nursery furniture, or even something to go into a child savings account. But talk to your child before you make any spending decisions. You don't want to duplicate any items that may have already been received at the baby shower, and you don't want to buy items such as clothes or baby furniture that are against the tastes of your child. You naturally want to help, but a quick conversation will ensure you don't waste your money. You should offer your babysitting services to your soon-to-be exhausted child. They will need time off occasionally, and you may be the best person for the job. Offer your time when your child wants to get out of the house for some me-time and offer to have your grandchild overnight when your child needs to catch up on their sleep. Offer your time to help around the house too, supporting your child with any parenting duties, especially when their partner is at work. But don't overdo it with the help. There will be times when you want to see your grandchild, so an offer of help might seem like the perfect excuse to visit. Your child might be grateful to you, but you don't want to make them feel as if they can't cope themselves, so limit the help you give. They will need their space with the baby too, so they may not want you around 24/7, no matter how helpful you are trying to be. We hope these tips have been helpful, but if you're a grandparent already, please share any advice you have for any other grandparents-to-be. Thanks for reading, and if you are expecting your first grandchild, we wish you every joy and happiness with the new little bundle of joy in your life.